We helped one of our customers make the conversion from a solvent based ink to a more environmentally friendly water based ink. 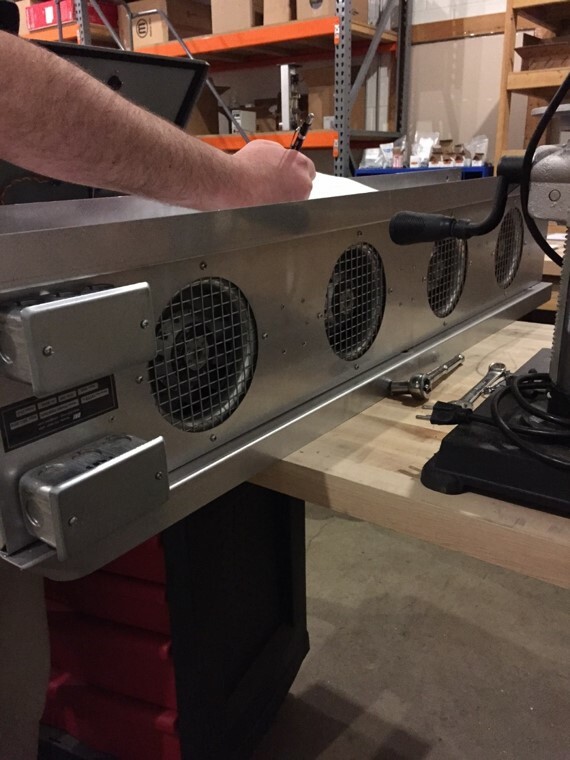 In order to complete the transition, we also needed to design and build a completely new drying system, so NLS designed and manufactured several generations of infrared heaters. One of the challenges to this project is that we wanted to get the water out of the ink on the surface but not heat the plastic and cause any permanent change in shape due to the heat. Infrared turned out to be the perfect choice since its wavelength tens to just heat the surface of products and not penetrate deep into any substrate. This turned out to be a great project for a great customer.